Prominent & Leading Manufacturer from Pune, we offer export container lashing belt, polyester lashing belt, polyester woven lashing strap, woven lashing belts, cargo lashing belt and polyester cargo lashing belt. 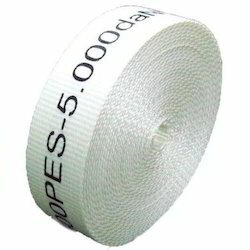 We provide the Polyester Woven Lashing Strap to our customers. The product is made of best quality. The belt is Glue coated, pre tensioned and heat dried for higher strength. The process of manufacturing takes into account the sensitive and important nature of functions to which these will be put to use. 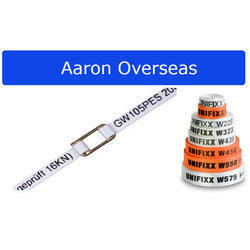 We provide the Woven Lashing Belts to our clients. 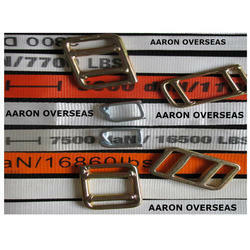 We provide the Cargo Lashing Belt to the clients. The product is made of the best quality. 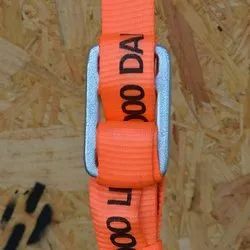 It is one of the safest and most cost effective alternatives to steel strapping, wire ropes, chains and ratchets strapping. Cargo during transit is held firm and safe and is transported to destinations without damage to the cargo load or to the vehicle. 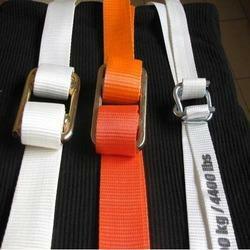 We provide the Polyester Cargo Lashing Belt to the clients. The product is made of the best quality. 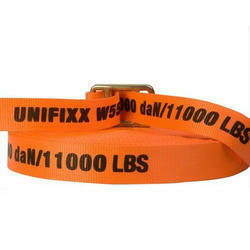 Looking for Lashing Belts and Strap ?